For style and comfort matched with easy lacing and a forgiving flex, look to the playful and capable Haven Snowboard Boots. Keep your gloves on while you find that perfect blend of fit and performance thanks to the Boa® Coiler reel based lacing system, which cranks up or down with the easy turn of a dial. 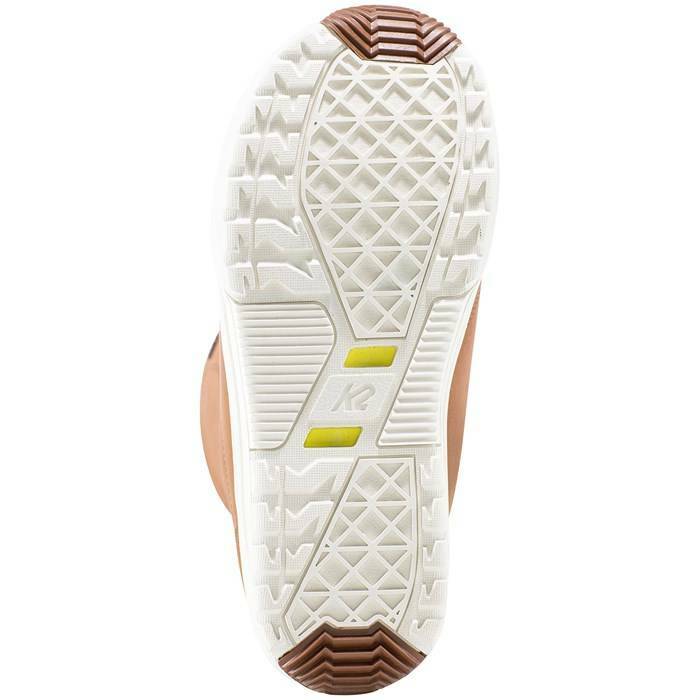 Heat moldable Intuition® Comfort Foam 3D liners let you customize your fit, while the Rubber Light Outsole provides long-lasting traction in the park, on the summit, or trekking back to the parking lot. 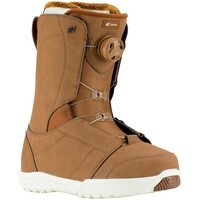 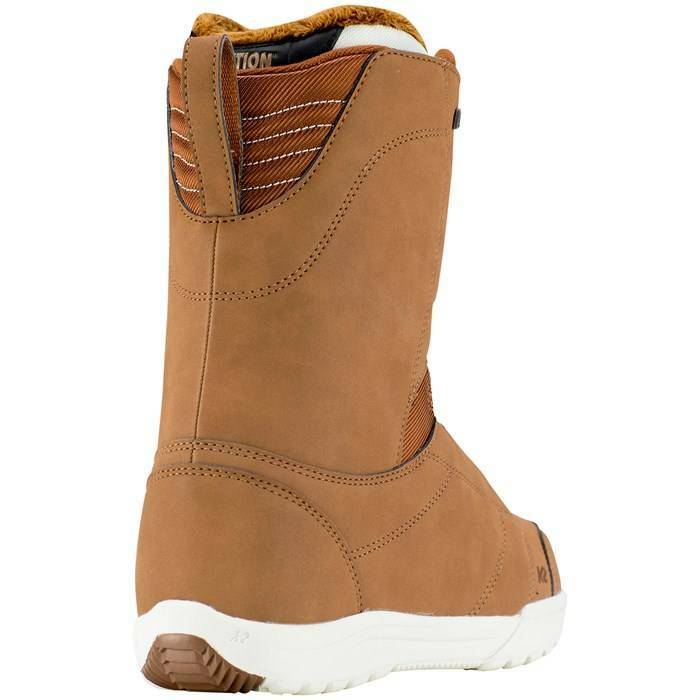 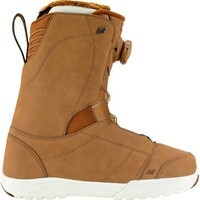 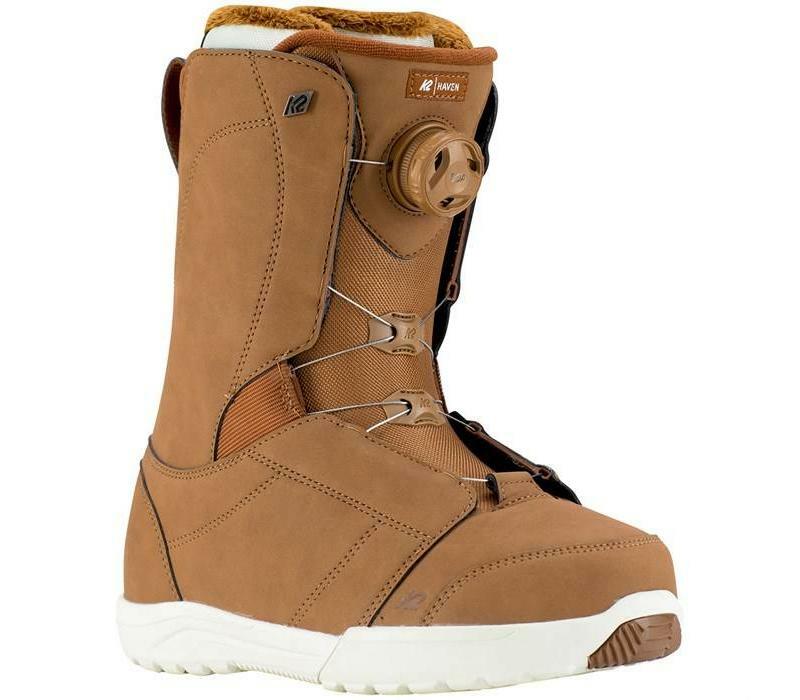 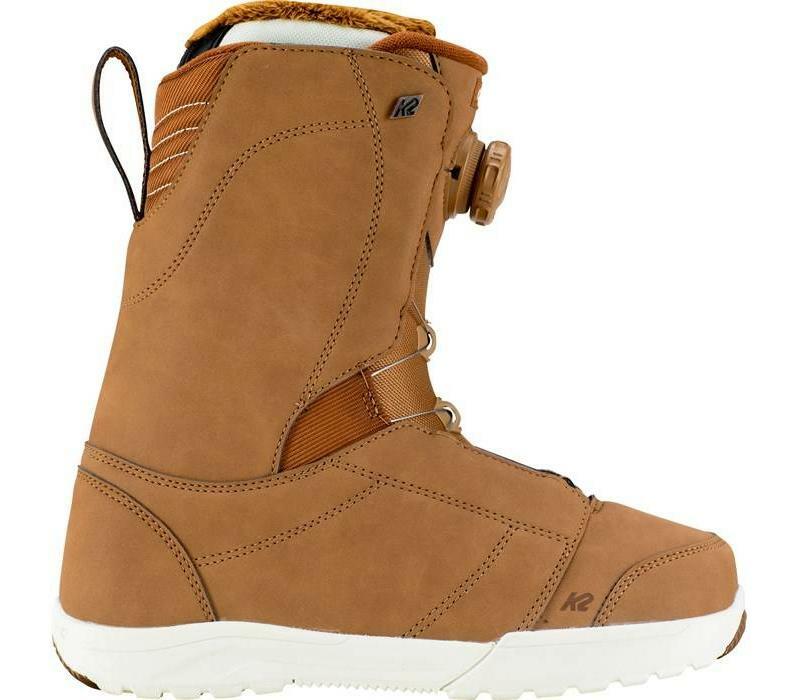 Keep your feet happy and ready for après with the Haven Snowboard Boots. 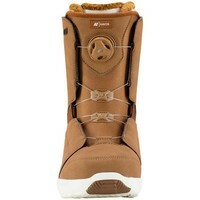 Fast-In – Drawstring-style liner tightening system. Easy to adjust and locks solid for all-day fit. Easy to repair and features the comfort of a flexible woven lace. 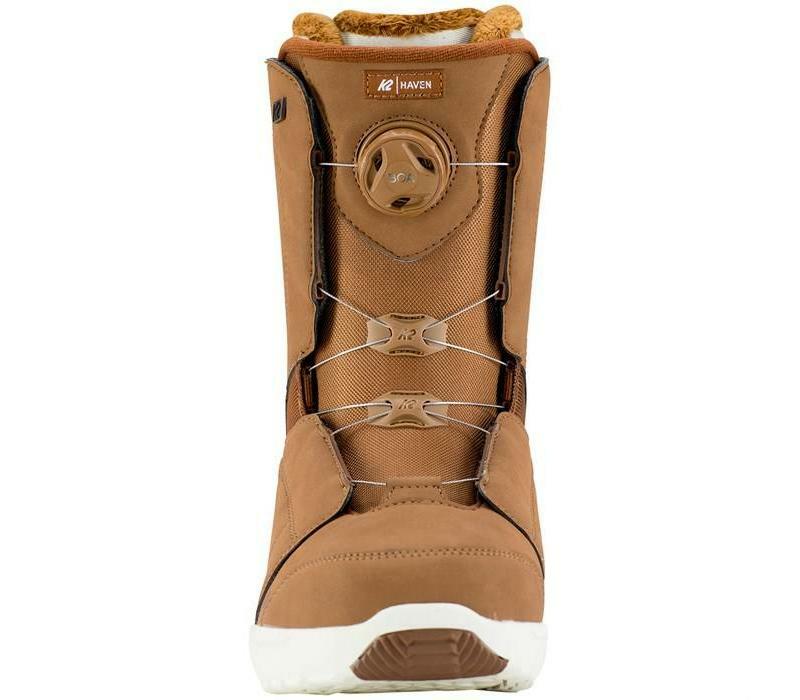 Boa® Coiler – A cable and reel based lacing system that creates even tension and easy lacing operation. 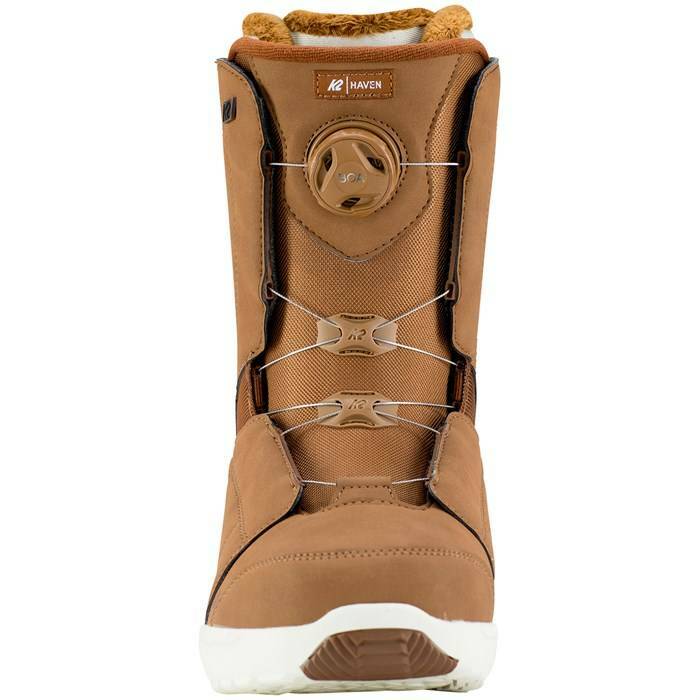 This system features low friction guides for even tightening and the Coiler version automatically retracts lace slack so things stay nice and neat. Rubber Light Outsole – Full rubber bottom for maximum grip and durability. 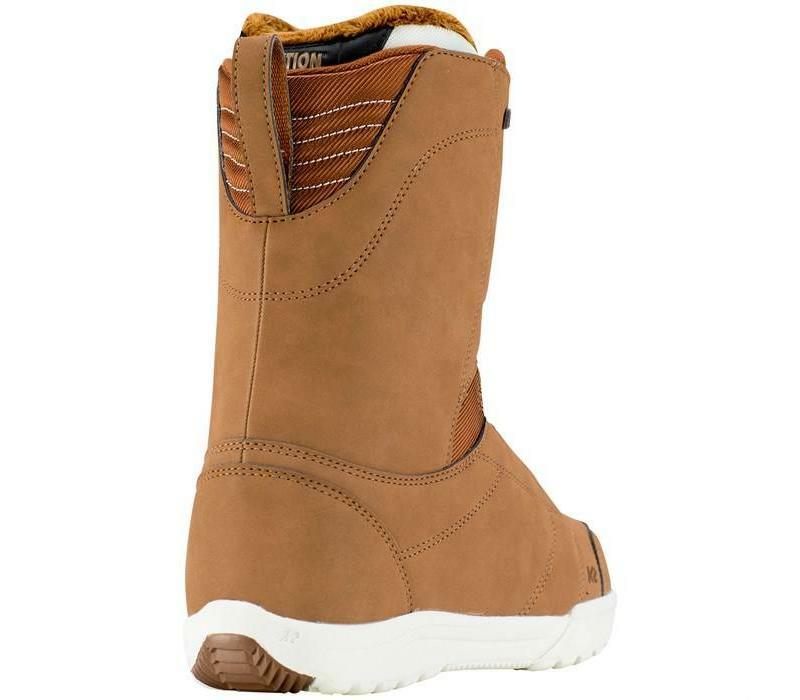 Paired with Harshmellow for impact absorption.